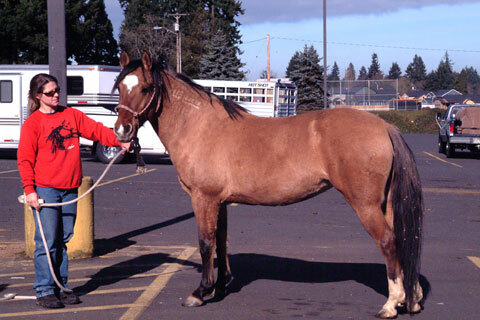 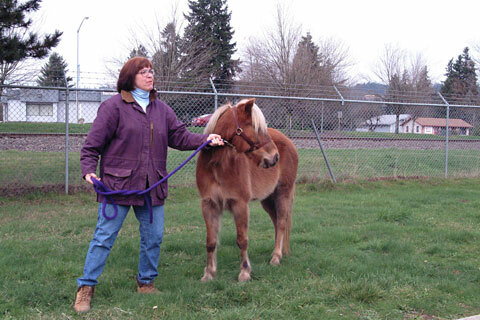 Columbia County Chapter of Oregon Equestrian Trails holds many fun activities. 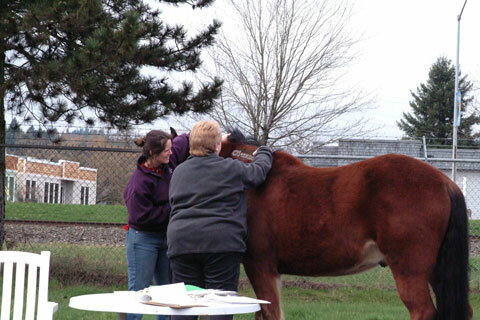 On February 12th we held a public Brand Inspection at the Scappoose High School. 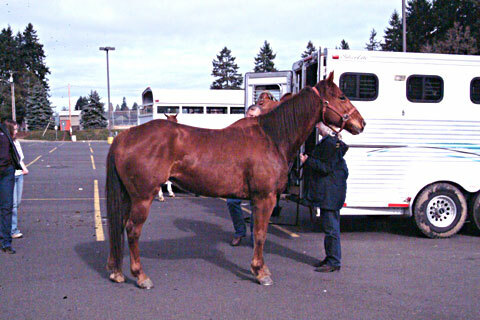 There were 32 horses onsite for inspection. 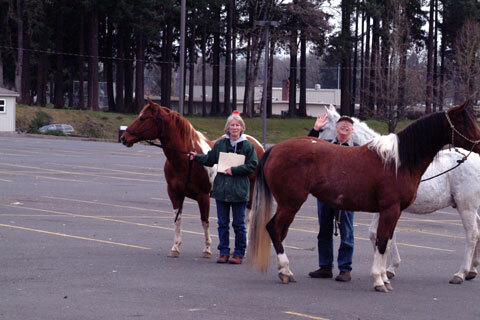 Columbia County Vice Chairman Bob Rice and our historian Gloria Rice brought three horses for inspection. 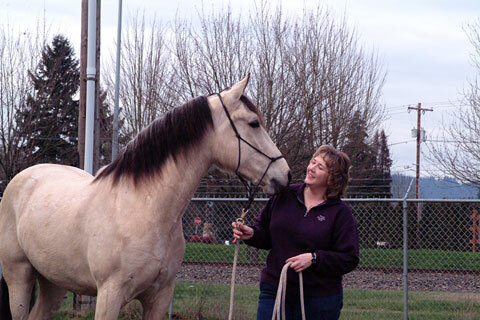 The Brand Inspector takes a good look at the freeze brand on Toni Farnsworth's gelding, Doc.